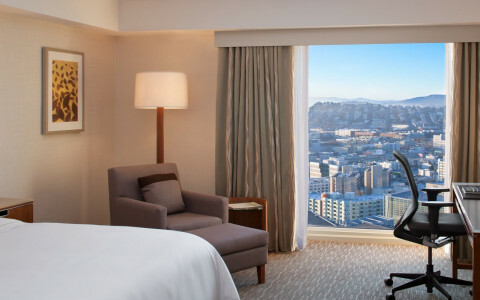 Get a fresh perspective of the city at Park Central San Francisco. 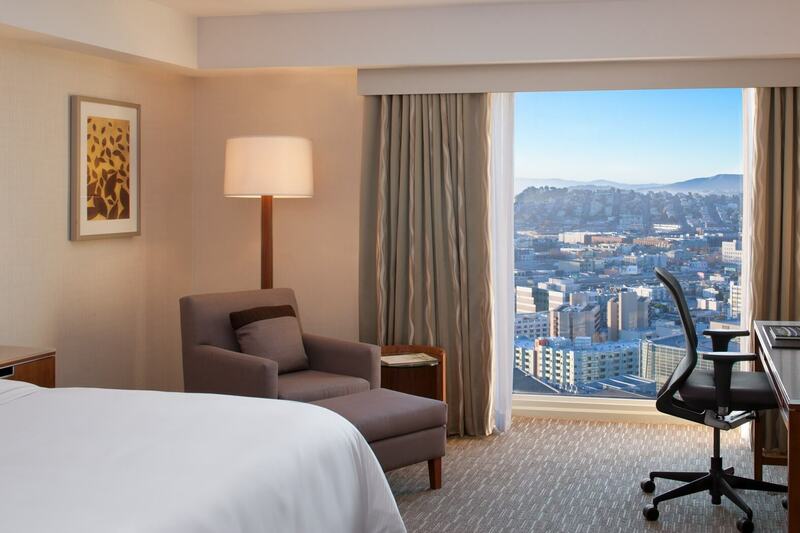 Whether visiting for a midweek conference or a weekend getaway, stay in the cultural heart of downtown, walking distance from Union Square, AT&T Ballpark, the Financial District, the Embarcadero, and more. We’re ready to welcome you soon. 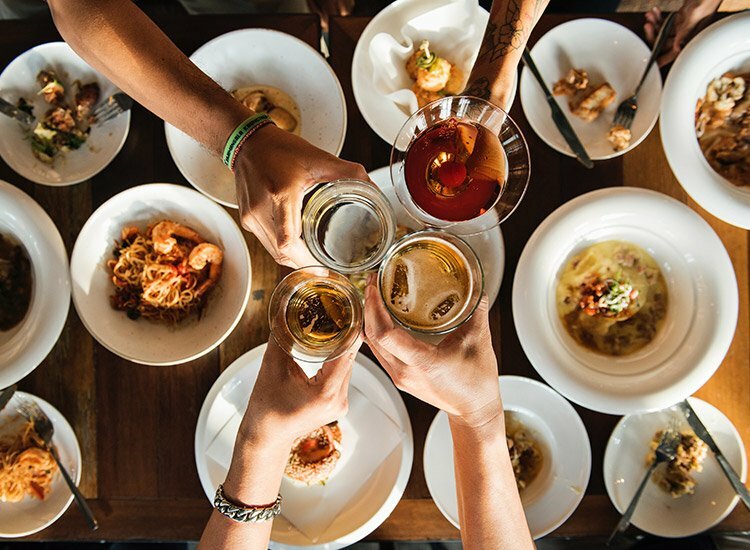 The Bay Area is a destination for food lovers. MaSo reflects this dedication to quality, freshness, and flavor in every menu, including our innovative breakfast menu, popular with guests and locals alike. 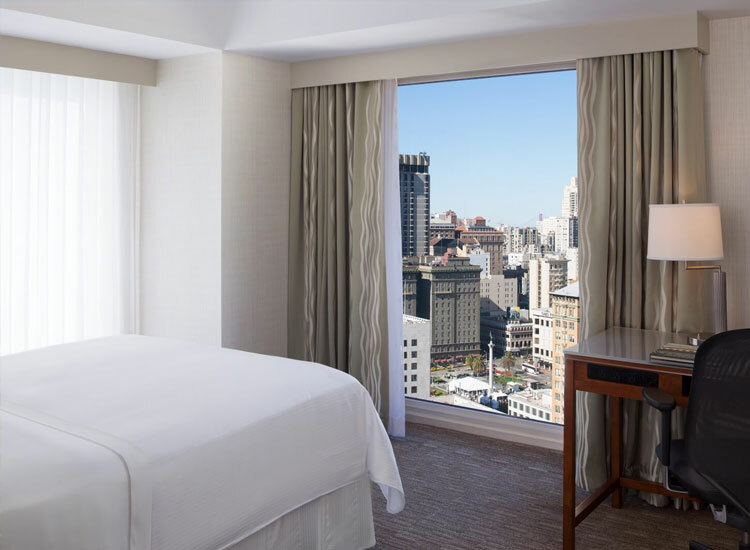 Our spacious rooms and suites feature floor-to-ceiling windows, offering sweeping panoramic views of the city skyline and a variety of beautiful parks below, as well as sailboats dotting the San Francisco Bay. From dinner reservations and floral arrangements to babysitting and in-room massage treatments — and so much more — our concierge service can help you plan your stay down to the last detail. Look to Park Central to give you access to the works of local San Francisco artists. Through our partnership with ArtSpan, we’re proud to feature resident artists at our hotel, giving you a chance to get close to the city’s vibrant creative scene. 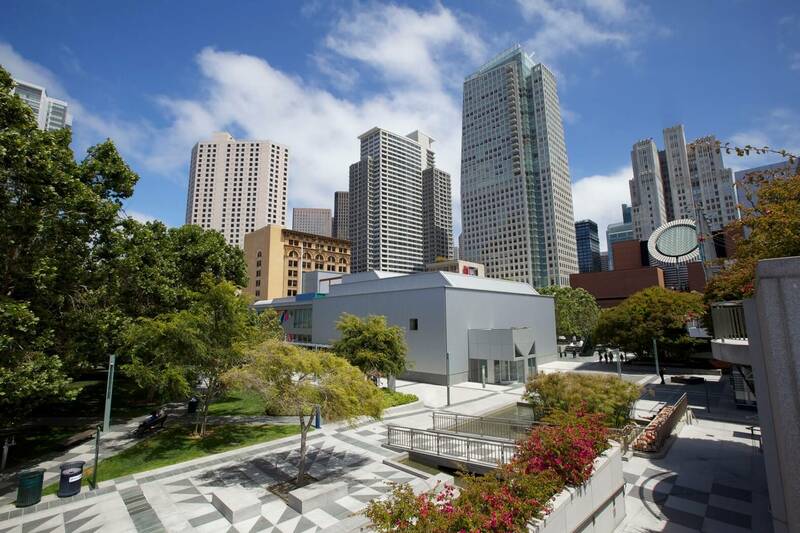 You’re steps away from the best of the city: the Moscone Center, Union Square, SFMOMA, the Contemporary Jewish Museum, Chinatown, the Embarcadero, Fisherman’s Wharf, and so much more. 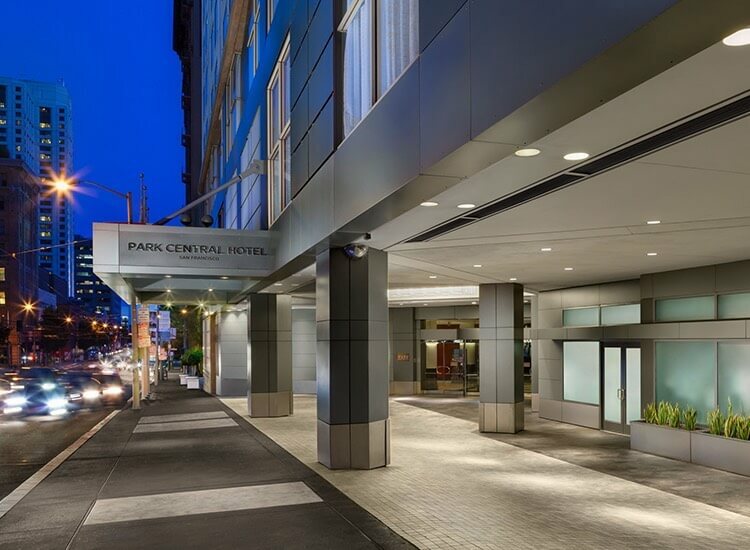 Park Central is one of the most sought-after San Francisco wedding and event venues in the Bay Area. Everything’s here: contemporary design, majestic ambiance, and flexible options from a ballroom for 1,200 guests to an intimate venue for 10. Spring is the season for taking a break and enjoying time with your family. 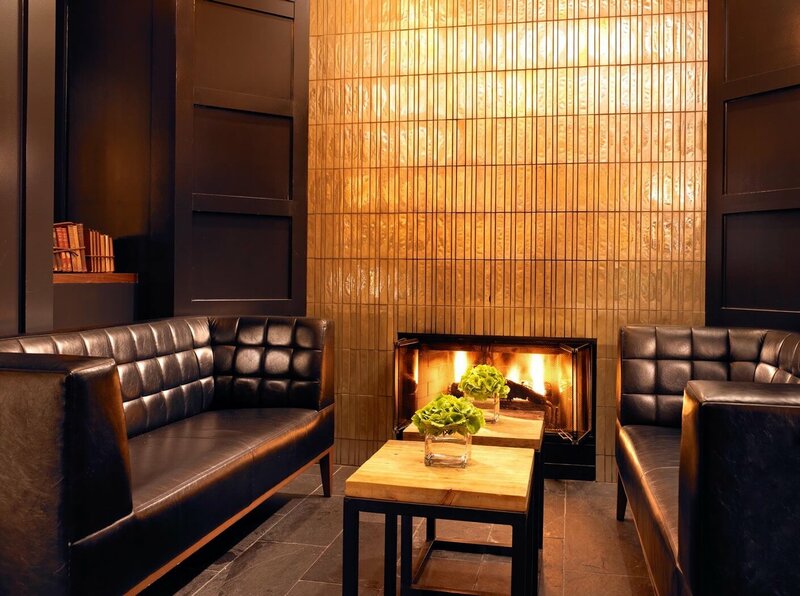 Enjoy a waived destination as part of the Marriott Stay and Save promotion. A value of $44.46, plus up to 30% off on select dates. 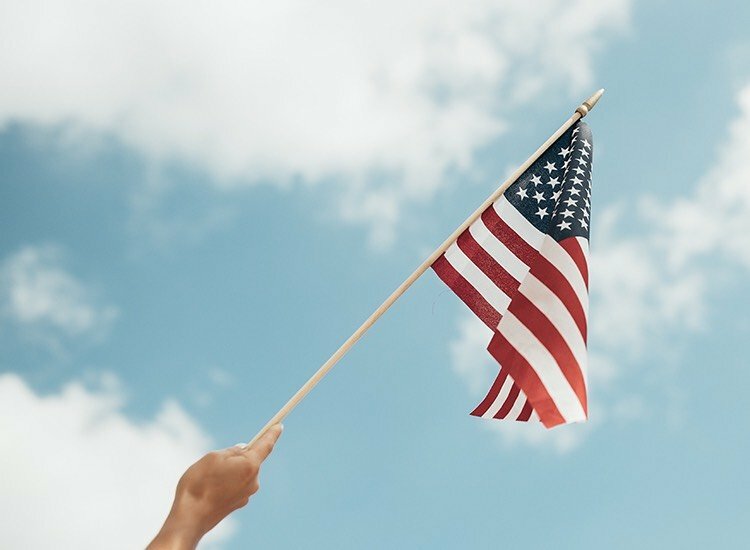 Enjoy the ease as well as the convenience of complimentary valet parking, a nightly package also including in-and-out privileges (a $30 value). Featuring a full breakfast buffet for two at MaSo, our Park Central Buffet Breakfast package is just what you need before a busy day of sightseeing or business meetings. 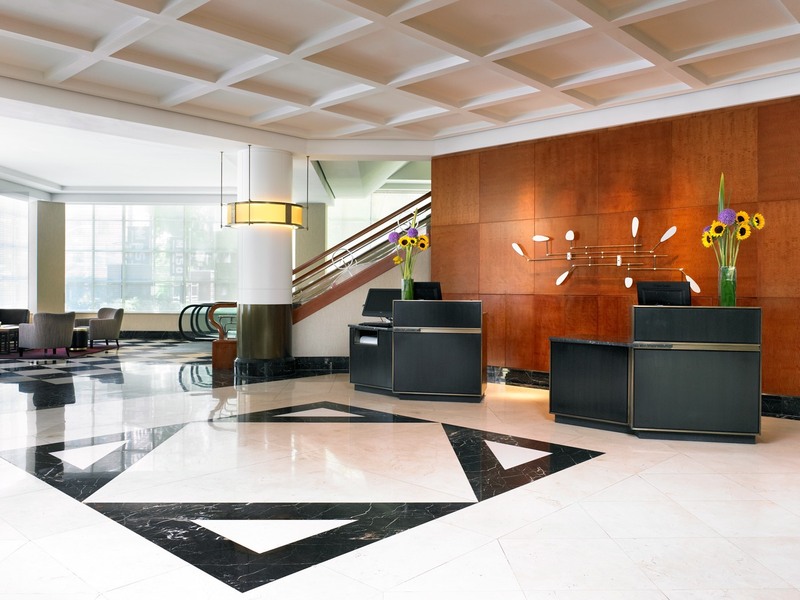 Government employees get more at Park Central, including complimentary high-speed Wi-Fi and waived destination fees (a $45 value). 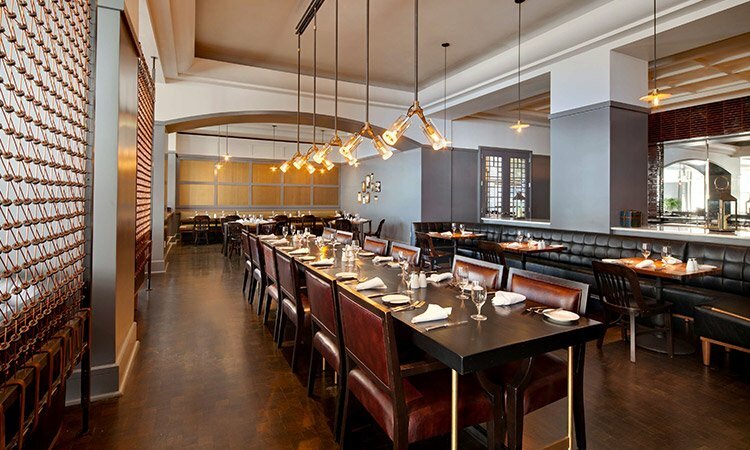 The Bay Area is known as a destination for food lovers, and MaSo reflects this dedication to quality, freshness, and flavor in their menus. In fact, our breakfast is popular with guests and locals alike. 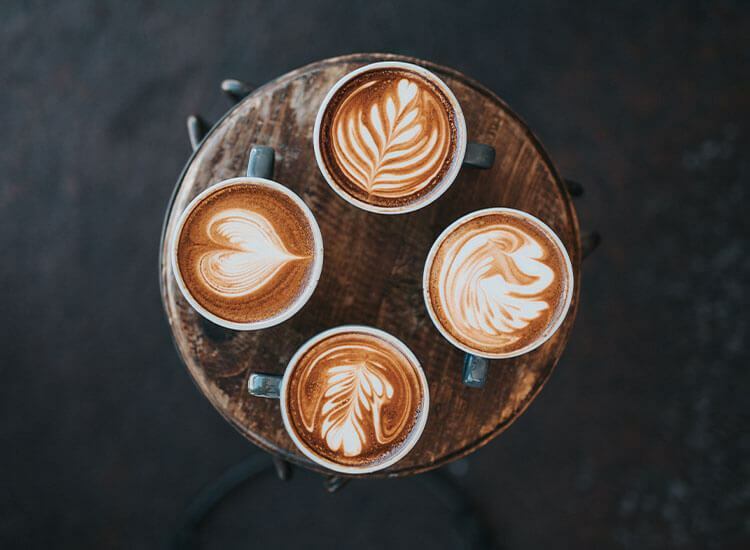 "The breakfast had a very good selection, lots of fresh fruit which was lovely and very attentive staff who were very friendly and couldn’t do enough for you. The hotel is in a very good location." 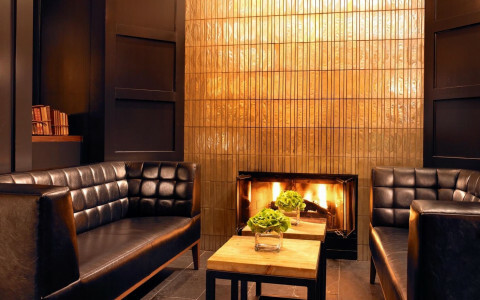 "The hotel staff was very friendly and the accommodations were very nice. I love their bar area on the ground floor. This would definitely be a repeat visit in the future. Best service hands down!!!" 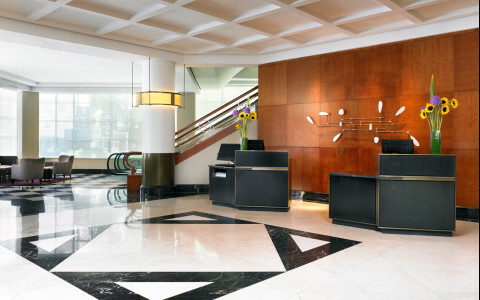 "We arrived early, the staff was extremely accommodating in getting us checked in and to our room. Nice room and it was clean and comfortable. All staff throughout the day were very friendly, always greeting us. It just made for a great stay." 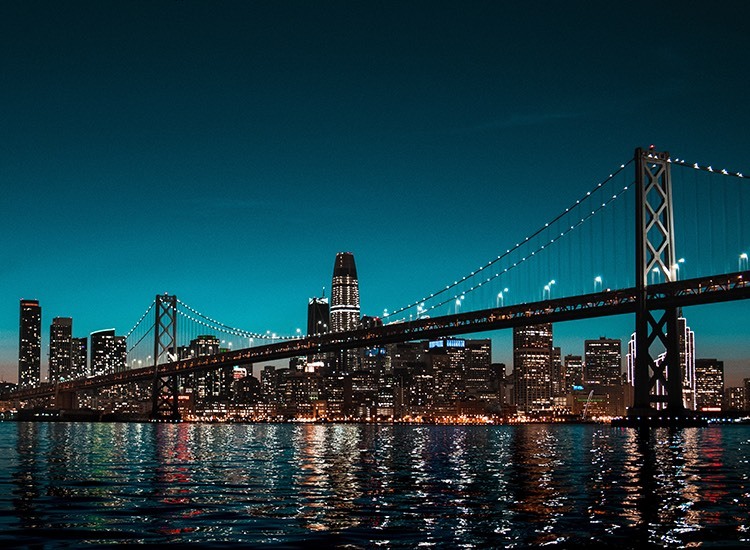 You’re only a walk away from Union Square, AT&T Ballpark, the Financial District, the Embarcadero, Chinatown, and more. 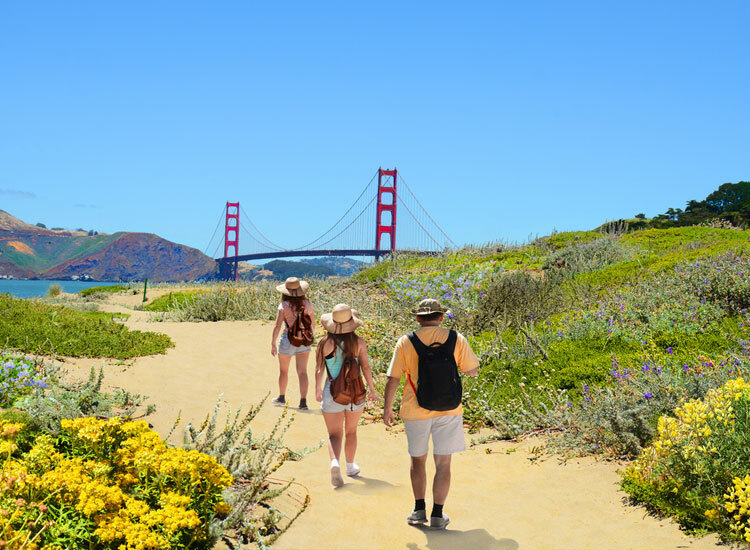 Venture on the iconic cable cars and explore even more.